We have a range of the best Shampoo brands, from Pureology, Redken, Tigi and more, whether you are looking for a volumising shampoo, colour protecting, or added shine we have the product shampoo for you. A neutralising cream conditioner for unwanted yellow tones. After-sun nourishing shampoo for all hair types. Helps you to eliminate unwanted brassiness, to leave locks looking cool and bright. Containing a colour correcting formula, infused with ultra violet pigments to help eliminate yellow undertones. A cleansing shampoo that can balance your scalp, enriched with pure ylang ylang, geranium and patchouli essential oils. Washes away impurities, this keratin enriched formula with Argan oil will leave hair feeling softer, more manageable and shiny. A shampoo for men packed with nourishing and strengthening ingredients to leave your hair looking soft, shiny and revived. This specialised dandruff shampoo is formulated with pyrithione zinc that gently cleanses hair and soothes the scalp. Protect your hair colour with this gentle cleansing concentrated moisturising shampoo. Sulfate free with an Anti-Fade Complex. A hair care duo to boost hydration, control damage and protect vulnerable locks, leaving hair looking smoother, shinier and more resistant. 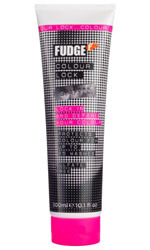 Protects hair colour for up to 25 washes with a colour shield technology that locks in, maintains and enhances colour. Specially designed to stimulate hair growth and also increase the diameter of hair strands, whilst gently cleansing the scalp, maximizing hair count, enhancing length and density. Ideal for blonde hair that needs cleansing, refreshing and strength restoring, especially if it has undergone bleaching and heat styling. This specialist shampoo contains anti yellowing agents that help reduce unwanted yellow or brassy tones whilst caring for the hair. A fortifying hair shampoo for damaged hair, leaving your hair healthy, shiny and feeling protected. Formulated with a blend of natural extracts to moisturise and condition the hair. without weighing it down. A sulfate free conditioning and cleansing shampoo for colour treated hair that gently strengthens hair from root to tip. Ideal for fragile and thin looking hair, with its breakthrough formula of peptides and plant extracts to encourage the hair strands to be stronger, less brittle and more flexible, preventing breakage.